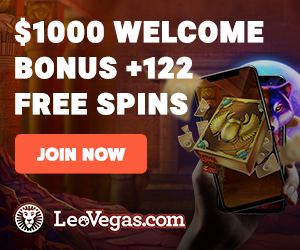 Mummys Gold Casino is a premier online gambling site for CA players in 2018. 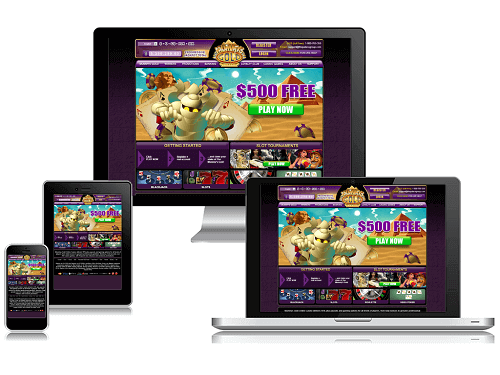 This exciting Internet casino was established in 2003, meaning that they have plenty of experience in offering great gaming to Canadians. Online Canadian casino players can enjoy over 250 Microgaming titles at this Malta Gaming Authority (MGA) regulated site. Canadian players at Mummy Gold can expect a great welcome to the casino and some exciting on-going promotions. The welcome bonus at the online casino consists of cash-backs and 500 Loyalty Points just for registering. Online casino players can expect up to CA$500 on their first deposit. Additionally, CA players at the casino can earn some great rewards with their loyalty program. For every CA$10 a gambler wagers, they earn one club point. Club points can be redeemed for casino credits after a player earns 1,000 points. There are six loyalty tiers at Mummys Gold, and casino bonuses can go up to CA$10,000 for the highest tier. However, we do recommend reading through the terms and conditions of the casino before claiming any rewards. Players at Mummys Gold can rest assured that their professional player support is available 24 hours a day. Moreso, they can be contacted through any of the three options below. So, our CA casino players never have to wait to have a question or complaint seen to. There are many banking options at this online gambling site, making it easy for you to find the right service for them. Canadians can use quite a few online payment services, such as those below, for transactions at Mummys Gold. However, withdrawals are limited to CA$4,000 for players who ‘spend more than five times their purchases’ at the casino. As we’ve said before, Mummys Gold is host to over 250 Microgaming titles. This gives CA players a wide range of online slots, Blackjack, Roulette and Video Poker to choose from. Additionally, their games are regularly tested for fairness and randomness by the London-based eCommerce Online Gaming Regulation and Assurance (eCOGRA). This gives our Canadian gamblers peace of mind, knowing that they can enjoy the best gaming experience possible. At Maple Casino, we consider the security and safety of CA players to be the most vital aspect of an online casino. Luckily, at Mummys Gold, gamblers are protected by the industry standard encryption technology for online banking. The site uses 128-bit Secure Sockets Layer (SSL) encryption to ensure the safety of their Canadian gamblers. Overall, we find Mummys Gold Casino to be a great online casino for Canadians. They use the best encryption available and they have a good range of casino banking options. Moreso, they have some of the best Microgaming titles on offer to their gamblers. However, we do find their terms and conditions a little tough on players. Their processing times can also take a bit long for our liking. Other than that, their customer support is top-notch and their software is above board. However, they don’t offer a mobile casino version.